This music video for Tide: The Paradox Effect—a new song by R&B singer Dawn Richard—shows a female warrior fighting her way towards the sun in a strange world full of destruction and mayhem. The video was made by directing duo We Were Monkeys. 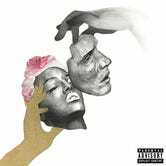 Dawn Richard is an American R&B singer and songwriter. Tide: The Paradox Effect is an outtake of her new album Blackheart. You can follow Richard on Facebook, Twitter and buy Blackheart here.